Like many other people across Australia, I set my alarm for a shockingly early time for the morning of April 25 with the intention of attending a service commemorating the centenary of the Australian and New Zealand landings at Gallipoli. The service that I attended this year was in an average suburb in south western Sydney, only this year the attendance rate was far greater than in previous years. This particular service attracted at least two thousand people as opposed to the usual several hundred. The trend of increased patronage was mirrored across Australia as well as in several crucial overseas locations. 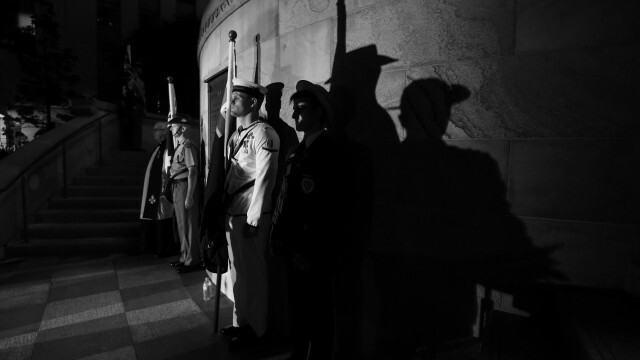 ABC News reported that the dawn service at the Australian War Memorial drew a crowd of 120,000 people which was a threefold increase on the attendance in 2014. This incredible figure is approximately one third of the entire population of Canberra. It was not only the nation’s capital that attracted a stellar turnout; Perth’s Remembrance Park attracted around 80,000 people and Melbourne’s Shrine of Remembrance had an amazing 100,000 people at their dawn service. It was inevitable that the 2015 Anzac services would draw larger crowds than usual due to the magnitude of the occasion. This year marks the centenary of the Gallipoli landings and the associated actions that have etched themselves into the psyche of our nation. The enormity of the anniversary is just one of the reasons that can be attributed to the impressive patronage of Anzac services this year. There has been resurgence in the recognition for the elements that comprise Anzac Day over the past several years. This resurgence continues despite the decline in veterans from both World Wars. Despite this decline in veterans, the numbers of people attending services and participating in the marches hasn’t fallen a great deal, with many descendants taking up the tradition and marching in the place of their ancestors. There are a myriad of reasons as to the renewed level of interest in Anzac Day and Australia’s military history. For example, in New South Wales the secondary history curriculum has altered to make years nine and ten focus entirely on Australia’s twentieth century history. This has led the current generation to be made aware of involvement of Australians in the major military events of the past. This level of exposure of the younger Australians is mirrored in the attendance at dawn services and other Anzac functions in both Australia and across the globe. All news coverage of the overseas services showed that a large proportion of their attendees were under thirty, giving great hope that the traditions and memories associated with Anzac Day and Australia’s military history will continue for many years to come. This year in Villiers-Bretonneux, they had a record attendance despite the driving rain which would have made the early morning trip less than pleasant. In Turkey at both Gallipoli and Lone Pine, dignitaries from several countries attended and spoke at services showing that Anzac Day is not simply a day for Australians to remember the sacrifice of the military, but an international day to commemorate those who fell in the service of their nation. These figures give this humble history enthusiast hope that the traditions of Anzac Day will not soon be relegated to the annals of history and that for many years and decades to come, I can continue to rise in the dark on April 25 and be joined by thousands of strangers in commemorating the great Australians that have come before. Lauren Ford is currently in her fifth year of university and studying creative and academic writing. She has combined this with her love of history and current affairs to produce articles on issues that she enjoys.